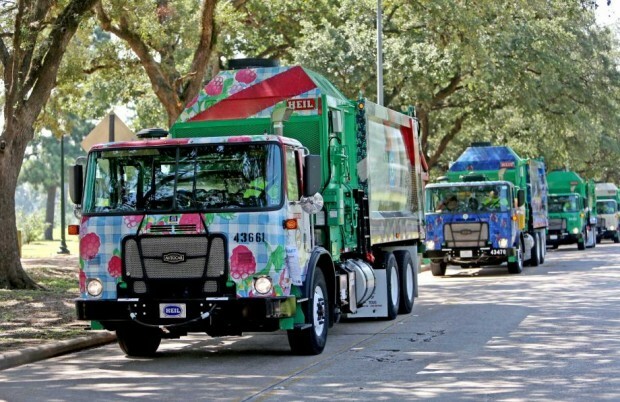 Houston Arts Alliance (HAA) and City of Houston Solid Waste Management Department (SWMD) released six new Art Recycling Trucks in 2014 that have been transformed into mobile artworks by local artists in partnership with HAA. 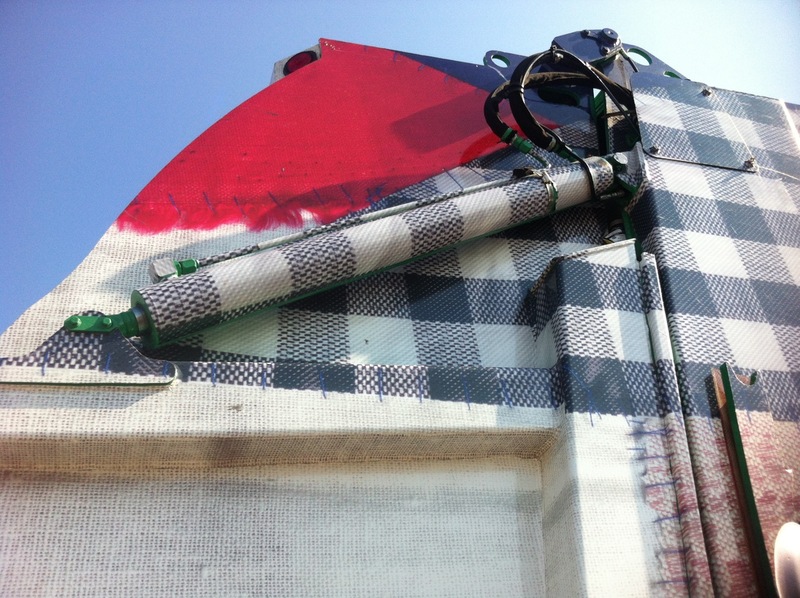 “I Have a Positive Impact” by Ariane Roesch is a patchwork quilt of recycled materials left over from the artist’s previous soft sculpture works. 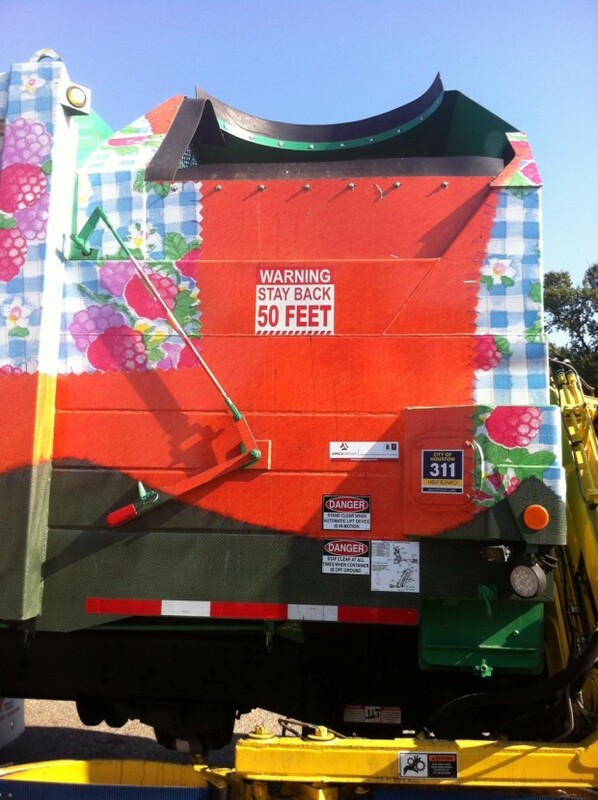 The individual pieces for each of the four sides were digitally scanned and printed to wrap the Recycle Truck.